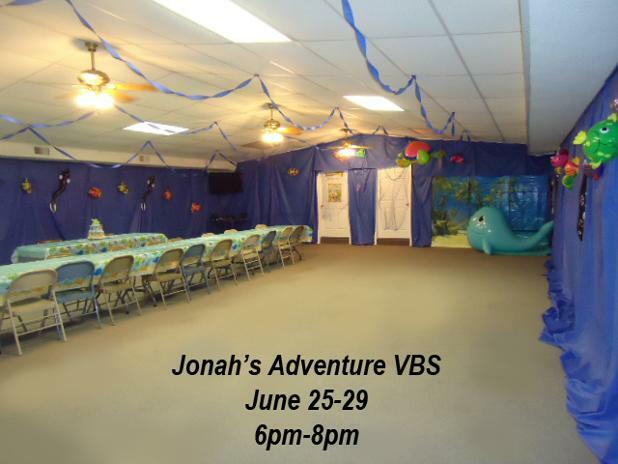 We did this theme at church and my husband and I covered the walls with blue paper to represent the water. We used push pins but you could use tape to stick it to the wall. 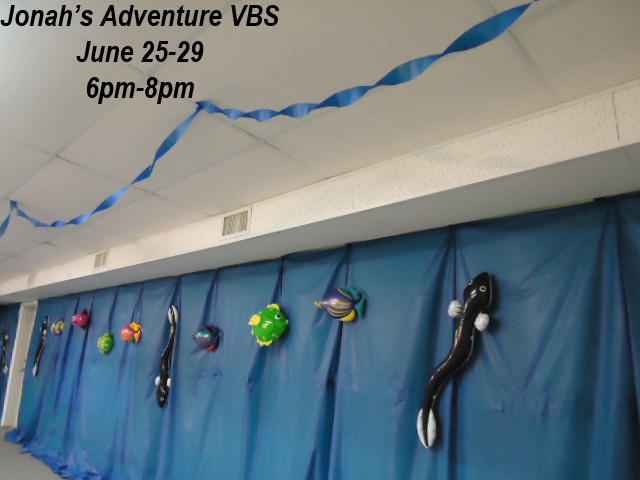 We bought a bunch of plastic blow up fish and eels and hung them on the wall. I ran some clear sting through the fish and hung them from the push pins that were on the wall holding the blue paper up. We just tied the plastic string in a knot and hung it from the push pin so it would dangle down. We added some blue net over the doors and on the ceiling. 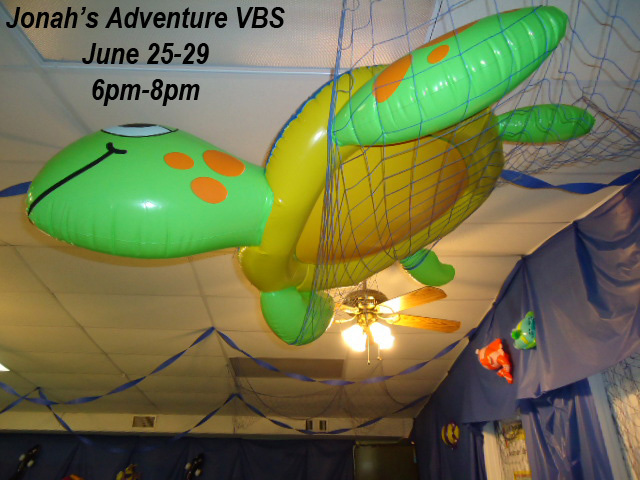 We stuck a giant blow up turtle in one of the nets on the ceiling. We also hung blue crepe paper from the celing to make it look like water waves. 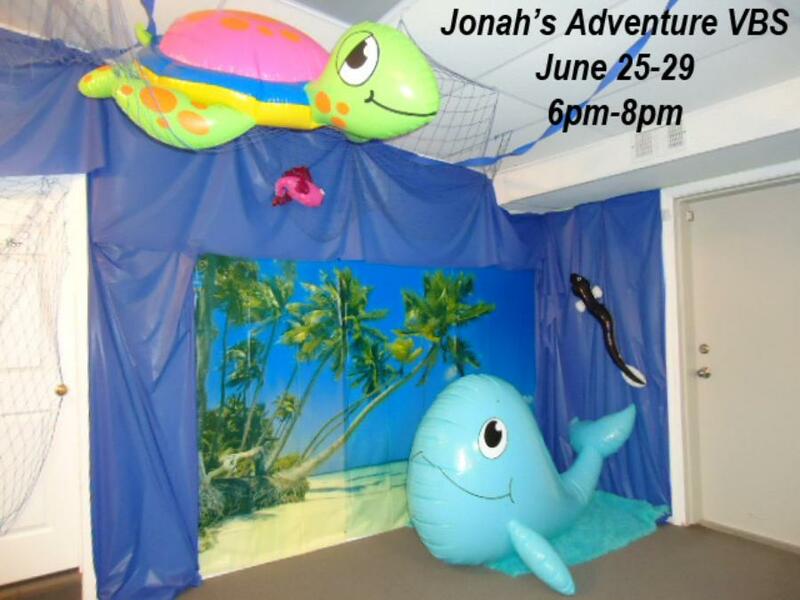 We bought the huge blow up whale but we didn't have a Jonah to go with him.. :( However we added a beach scene on the wall to stick the whale in front of. We took pictures of the kids individually in front of the whale scene. We did a 5 night VBS and on the last night we did games and had a cookout. 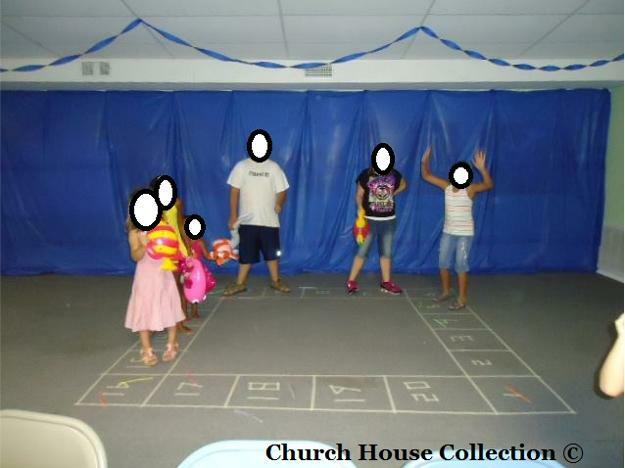 The kids played the soda pop ring toss game and a debbie cake walk. This is so much easier for the kids. A child wins a box of debbie cakes instead of a home baked cake. It's a lot easier and more fun using debbie cakes. I used glow stick bracelets for the kids to toss onto the soda's. I also taped the glow sticks to floor on the cake walk game. I just taped the glow stick directly under each number. When you dim the lights down it looks really cool. 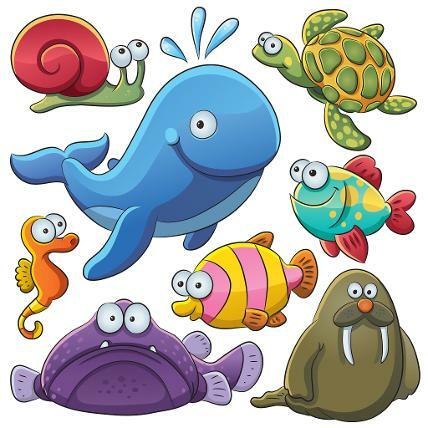 We also did drawings for the kids to win all the blow up sea creatures, including the Huge whale and turtle. They did a bob for the Whale and Puffer Fish game outside. 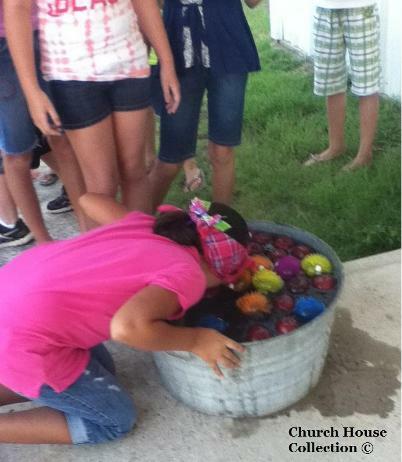 We used a metal tub and filled it with water and added plastic water squiter puffer fish to it, apples, and 1 whale (made from a zucchini) They had to bob for what they wanted. If they got the whale they got a different prize. They would win a plastic fish game that you play. I ordered everything from Oriental Trading. I usually get all my stuff there because it's cheap. We were going to do fish tattoo face painting and the potato sack race but we ran out of time for it. I made fish cupcakes by sticking a fish ring pop down into the cupcake. The kids made homemade ice cream in a ziplock bag by shaking it. They always have a blast making this stuff. Over the 4 nights we did corndogs, pizza rolls, chicken nuggets, whale crackers, Cheetos, cookies, whale cupcakes, huggie drinks, and nachos. Just plain stuff, I guess you could say. I didn't get real creative on the food. I guess looking back now I guess I could have done a better job of coming up with neater food. I bought an under the sea cupcake stand and some whale plates to go with the theme. 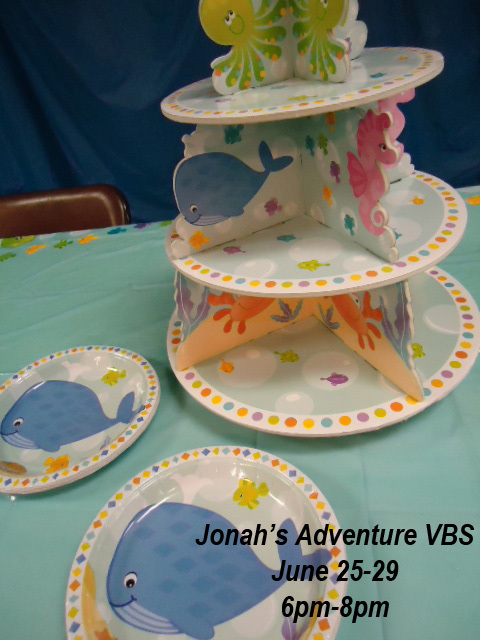 I added whale table clothes to cover all the tables. The kids made paper mache whales using a blowed up balloon and covering it with newspaper that had been soaked in water and flour. The first batch was ruined by my husband because he tried to boil this stuff on the stove and went off and forgot it. So for the next few nights the entire room smelled like smoke. So the next batch we made we just added flour to the water and then let the kids dip their cut up newspaper into the mixture and applied it to the balloon. We let that set up and then they covered the balloon with really pretty sparkly blue tissue paper. 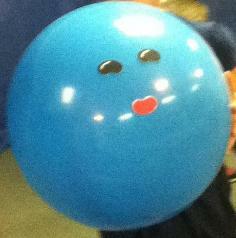 We just used a spray glue and sprayed the blue paper and then the kids covered their balloon with it. They added two eyes and a mouth to complete it. They also made salt dough animals. The kids had some interesting stuff like worms, crabs, fish, catfish, whale, snail, rabbit..etc. We cooked their creatures in the oven so they would set up. Then they painted them on another day. They turned out really cute. They played Toss The Whale Into The Water Game. I just took a large clothes hamper and taped blue construction paper that was cut into waves on to the front of it. I wrote the words, "Toss The Whale Into The Water" on the front. Then I used one of those huge plastic balls from walmart that was blue and added two eyes and a mouth using jelly bean stickers and made that my whale. I had the kids line up and try to toss the whale into the water. The kids could sing Jonah and the Whale songs. I wrote some for those of you who want to use them. Jonah In The Whale- To the tune of Where Is Thumbkin? 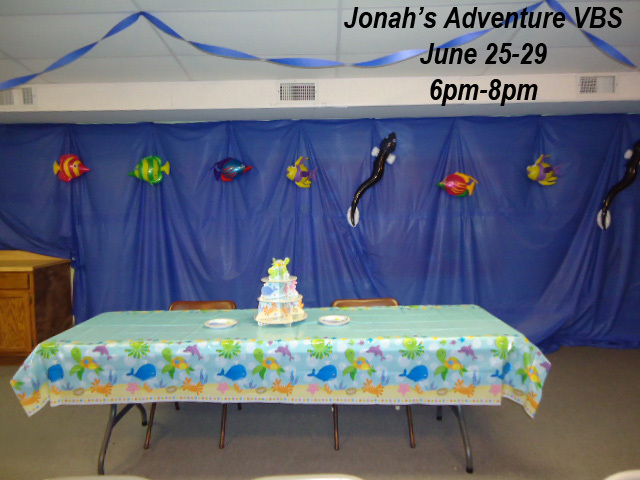 The first night the kids learned about the whole story of Jonah and the Whale. The next night they learned about Genesis in the beginning when God created the animals. On the third night they learned about Noah's Ark. 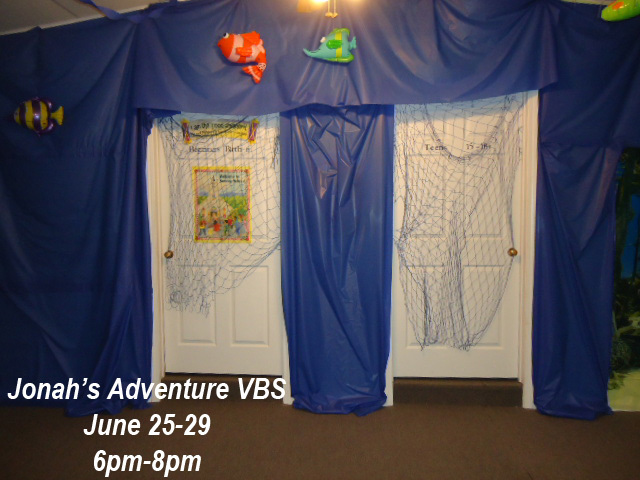 On the fourth night we did a recap of all the stories and they learned about Jesus dying on the cross with a salvation message. 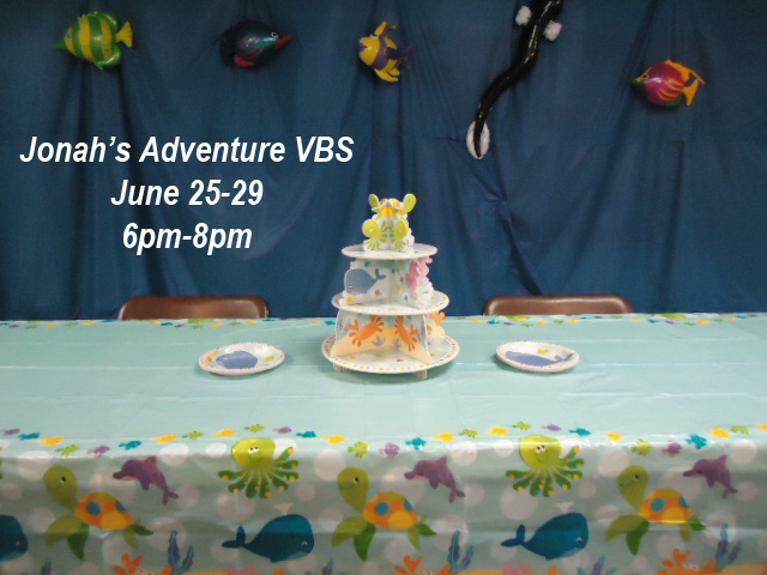 Awards were given to each child that attended the VBS. We handed out a trophy and a gold medal necklace. They also got a helium filled balloon with a tiny bible key-chain attached to it. 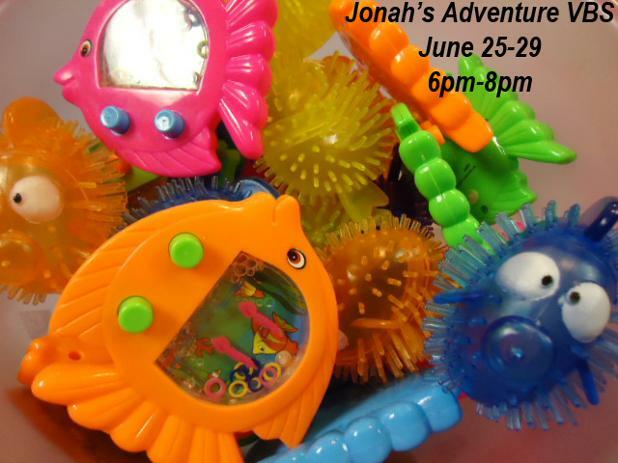 Fish water toy game and puffer fish water squirter. These are the puffer fish that got bobbed for with the apples and the zucchini whale. Ribbon trophy awards for kids. Gold medal necklace awards for the kids. helium and attached the bible keychain to it. The kids salt dough creatures. A painted salt dough crab. A painted salt dough octopus. Kids playing the Bob For The Puffer Fish and Whale Game. I tossed apples into this too. If they get the whale they get a special prize. The whale was a zucchini that was shaped like a whale. I added eyes and mouth to it by scraping some of the green off. glow in the dark bracelets. Sorry for the blurry picture. This is the Throw the Whale Into The Water Game. I used a huge plastic ball and stuck jelly bean stickers on the ball to make his eyes and mouth. I had them try to toss the ball into a huge clothes hamper that had blue construction paper cut into waves taped to the front of it. Easy game! This is the other two things we were going to do but didn't have time for it. 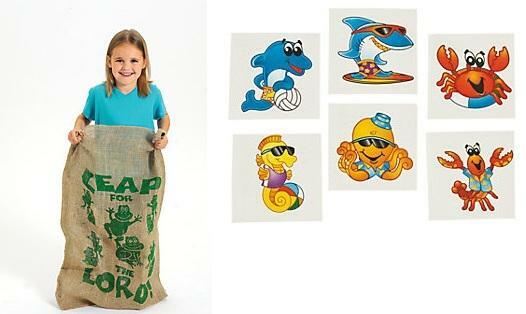 The Leap for the Lord sack race game and sea creatures tattoos for the kids faces. Both are from Oriental Trading.